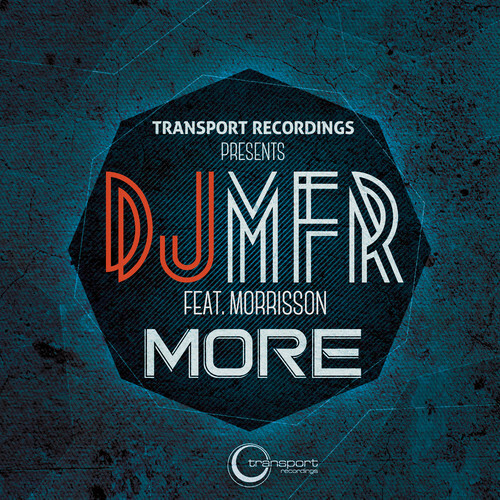 Transport Recordings’ very own DJ MFR presents “More,” his new collaboration with singer Morrisson, a seasoned San Francisco vocalist who has collaborated on many Transport singles over the years. The original evokes an early ’90s Classic House style with an M1 organ, a dance floor ready bass riff, shuffling hats, and nice rhythmic key stabs – but it’s the buoyant accompanying bass notes and soulful vocals that really set the track apart. Next up, Mozak’s Dub Mix marks the production debut of San Francisco newcomer Mozak. The vocals are teased out, the bass goes under, keys come to the melodic forefront, and springy synth notes bounce into play. Editor’s Sidenote: Mozak’s Dub Mix is essentially for DJs seeking a sparser treatment. The single also includes also two instrumental mixes.